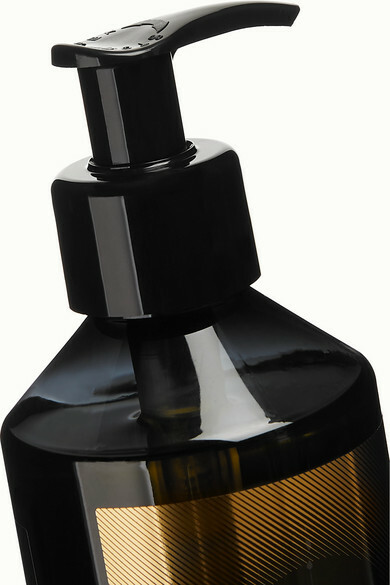 Tom Dixon captures its signature 'Orientalist' scent with this indulgent bath and shower oil. Top notes of Cassis and Violet give way to a heady Rose heart and a deep Amber and Musk base, which will linger on your skin. The luxurious blend creates lightweight lather that's both nourishing and cleansing.